We are talking about skinny dipping which means the art of stripping down to your bare buttocks and swimming. There are some places around the world where one can take that plunge by stripping themselves and enjoy swimming. It is located in Austin’s Ziker Park not far from the UT campus. Austenite love and revere Barton Springs like no other spot. The scenic Barton creek watershed flows through Texas Hill country. There are 60 natural springs and 20 caves providing recreation for nature lovers. 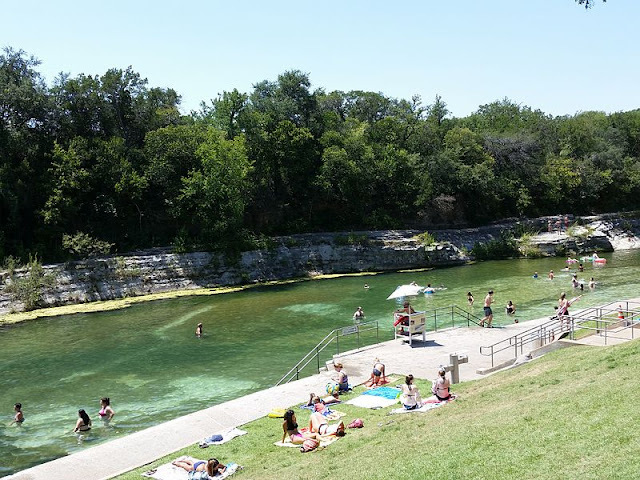 Barton creek is famous for water athletics, kayaking, Canoeing, tubing and year round swimming. Barton spring Pool is the locals favourite .This man made swimming pool is located in downtown Austin, which is the largest spring in Texas. It is one the most popular beaches it is a unique beach house. This ocean is very sleek. It is the center stage for the Chicago Air and Water show. There is plenty to do on the beach like building sand castles and swimming. You can enjoy the beach house shaped like a gigantic beached boat. One can rent equipment’s so you can play volleyball, bring your own bikes or rollerblades to the beach and enjoy zooming along the path. It is the largest lake in Minneapolis .It is surrounded by city park land and circled by bike and walking trails. It has many outdoor activities like fishing, canoeing, wind surging, swimming andsailing. There are three beaches at Lake Calhoun the North Beach, The 32nd street beaches and Thomas beach. Thomas beach is for serious sunbathers who spread out towels and sun lotion on the grassy parkland around the lake. Sunbathing on the north or east side of Lake Calhoun isn’t for the shy. Where you lie depends on how much you want to be seen. When you are in a mood for a girl’s weekend, there’s nothing better than a fun filled getaway to Miami. When the weather is sunny everyone enjoys being out in the water. Get your sunscreen and tan at the pool, go to the beach. People prefer going to National Hotel Miami’s where they have longest infinity pool. There is also a pool party with hot DJ’s at ”SWIM CLUBSATURDAY” on HYDE Beach. This is the beautiful coastal stretch where many people go to skinny dip in UK but something very striking is that not only waters a gorgeous shade of turquoise but the white sandy beach and the surrounding cliffs is a perfect spot for tourist and locals alike to strip down and relax. This beach is famous for their breath taking white sandy beaches and sparkling blue waters. It is known as one ofAdelaide’s oldest nudist beach. It is a beautiful long stretch of Beach which is perfect for long walks. So why not go and enjoy the fun at the beautiful beaches by plunging into them.